At the official launch of MothersWork Lifestyle Store at Great World City, guests enjoyed Chinese New Year inspired goodies prepared by Miele In-House Chef using the Miele kitchen appliances. 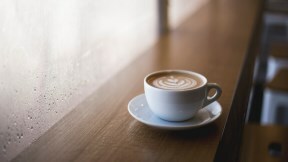 Miele Singapore is proud to partner TOUCH Community Services (TOUCH) for its inaugural corporate social responsibility campaign - Have a Cuppa Good Vibes, at Miele Coffee Corners island-wide from December 2018 onwards. 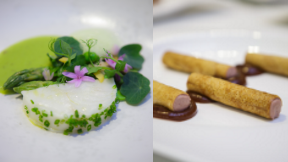 The Miele Lounge hosted an exclusive Media Masterclass with Tokyo-based Chef Luca Fantin of Michelin-starred Il Ristorante Bvlgari and Chef Kirk Westaway of Michelin-starred JAAN. 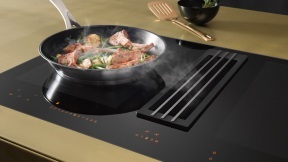 Miele hosted a private preview event for the launch of the Miele TwoInOne induction hobs with integrated extractor. The house-warming themed event was attended by Miele business partners and media guests. 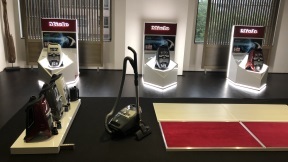 Miele Singapore recently unveiled the new Blizzard CX1 vacuum cleaner to media guests and business partners for a private preview event at the Miele Lounge. 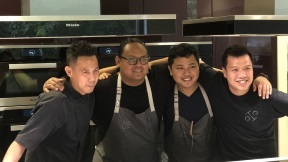 On World Environment day, Miele and Tatler Dining hosted a zero-waste cooking masterclass at the Miele Lounge with guest chef appearance by Jaan’s Kirk Westaway and Cheek by Jowl’s Rishi Naleendra. Winner of ‘Miele One to Watch’ Chef Jordy Navarra of Toyo Eatery joined hands with Chef Li Guang of one-Michelin-starred Labyrinth for a meet and chat session at the Miele Lounge for media guests. The Ruby Jubilee edition marked its 40th year of Food & Hotel Asia (FHA) which ran from 24 to 27 April 2018. Miele also celebrated its continued partnership with Culina as the “Official Kitchen Appliance Partner”. 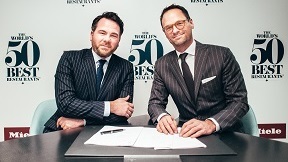 Miele is to intensify its cooperation with 'The World’s 50 Best Restaurants' as the exclusive kitchen appliance partner of the international awards organisation. The World Gourmet Summit (WGS) welcomed its 22th year of the acclaimed epicurean festival from 2 to 29 April 2018. 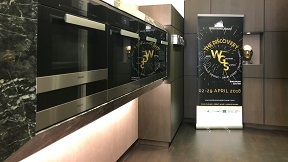 Miele is proud to be WGS’s Official Home Kitchen Appliance Partner.